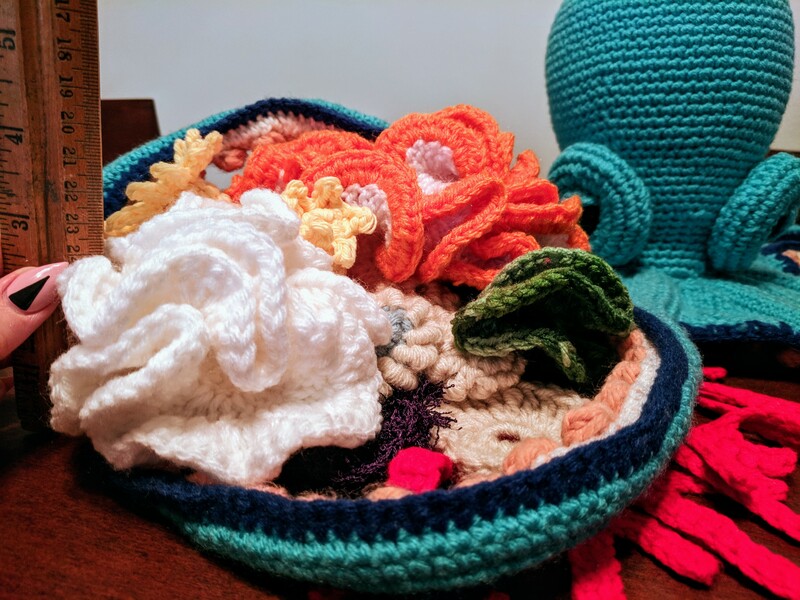 I wanted to submit something original to the OC Fair this year with my Octopus and I discovered via Pinterest some fantastic pictures of coral made using crochet. Most noteworthy was the exhibit at the Smithsonian The Hyperbolic Crochet Coral Reef. So I started reading up on hyperbolic crochet to figure out what it is and how to do it. There is a good explanation on Craftsy: Hyperbolic Crochet: A History, Plus Uses in Everyday Crochet. When you give it a scary math term like hyperbolic crochet it sounds really complicated, but all it is increasing your stitching so much that the yarn begins to grow and ruffle. Flowers can be made using this technique, but what was discovered is that it closely resembles the Agariciidae family of coral. 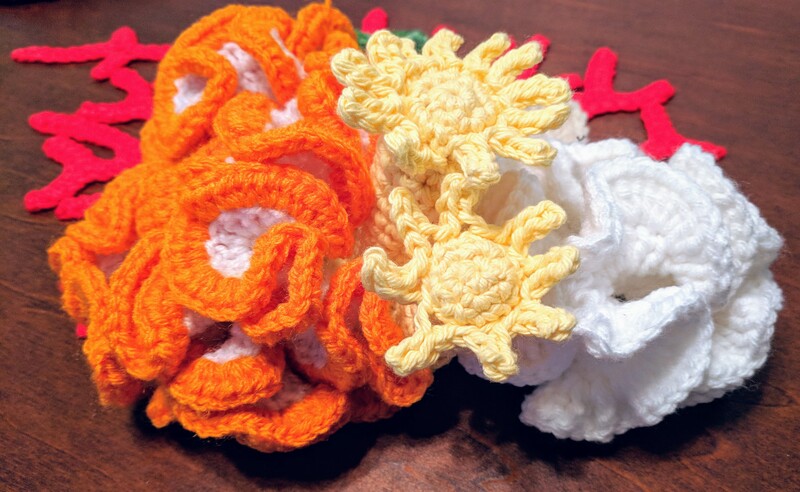 I used hyperbolic crochet to create false brain and tube coral in my reef. 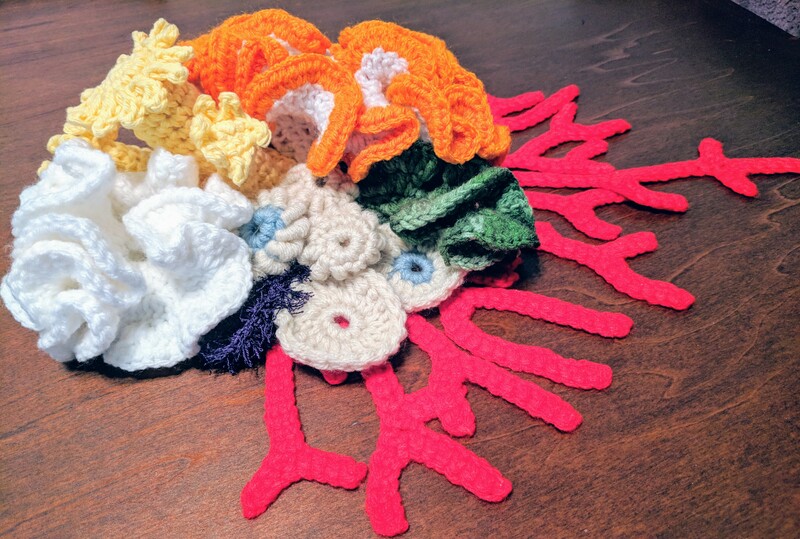 In addition, I used regular crochet techniques to create branching coral, cup coral, and sea urchin shells. My sea urchin shells included the bullion stitch in order to give the appearance of the lines you would see on a Stony Sea Urchin (Paracentrotus). 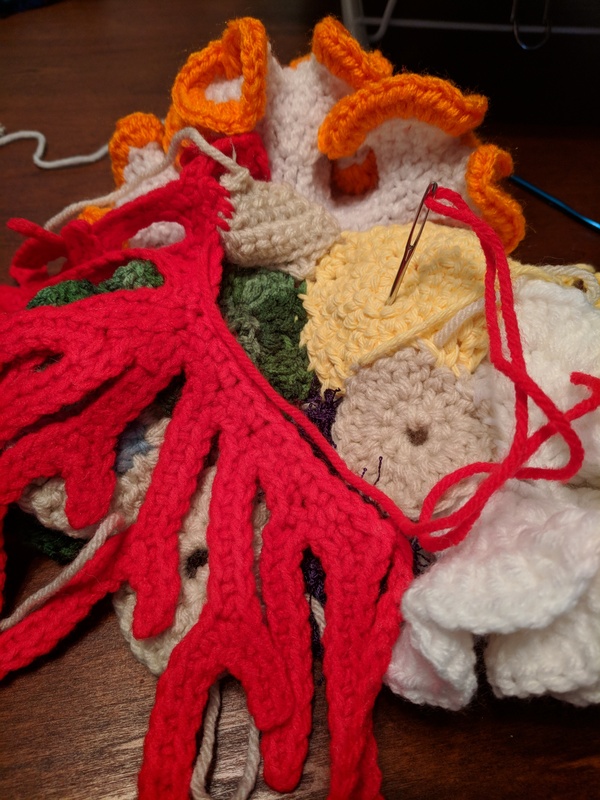 I wanted to make a large coral reef that my Octopus could sit on, but procrastination got the best of me and I only ended up with a small model. 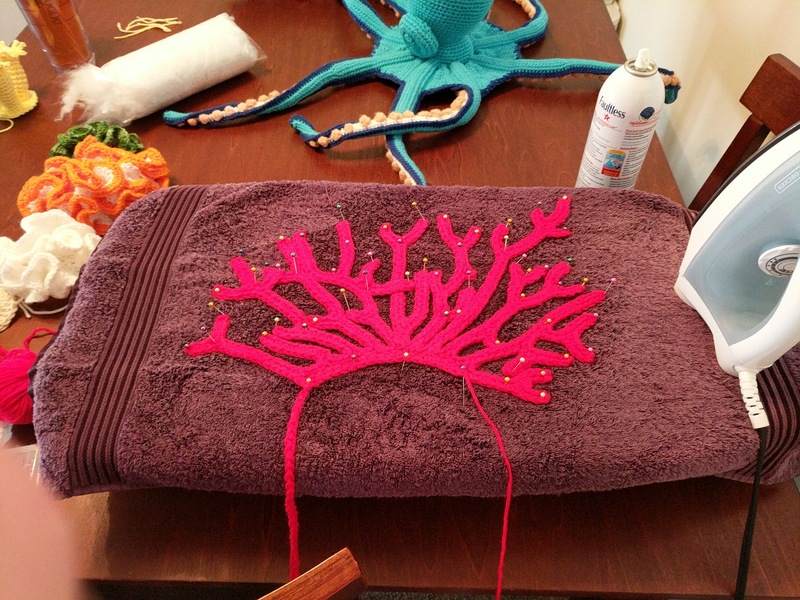 Stitching all the corals together was also difficult and took some creativity. In the end, I think it turned out quite pretty. What do you think? Next Post 2018 Orange County Fair 1st Place Winner!